Dr. Bellam is trained to care for patients requiring treatment for end-stage heart failure with the possibility of needing heart transplantation. His clinical specialties include management of patients with end-stage heart failure, cardiogenic shock, mechanical circulatory support (VAD), pulmonary hypertension, ventricular assist devices, and heart transplantation. Dr. Bellam sees patients both pre- and post-transplant to ensure they receive the best care and healing possible. His research has focused on risk stratification and improving disease management in patients with cardiovascular disease and heart failure. He has presented multiple publications locally and internationally. He is board-certified in Internal Medicine, Cardiovascular Disease, and Echocardiography. Dr. Bellam is a member of the American College of Cardiology (ACC), International Society of Heart and Lung Transplantation (ISHLT), and the Heart Failure Society of America (HFSA). Dr. Naveen Bellam received his Bachelor of Science degree at the University of Miami in Miami, Florida, a Master’s in Public Health (MPH) in Health Policy and Outcomes at the Emory Rollins School Public Health in Atlanta, Georgia, and completed his medical doctorate at Marshall University Joan C. Edwards School of Medicine in Huntington, West Virginia. 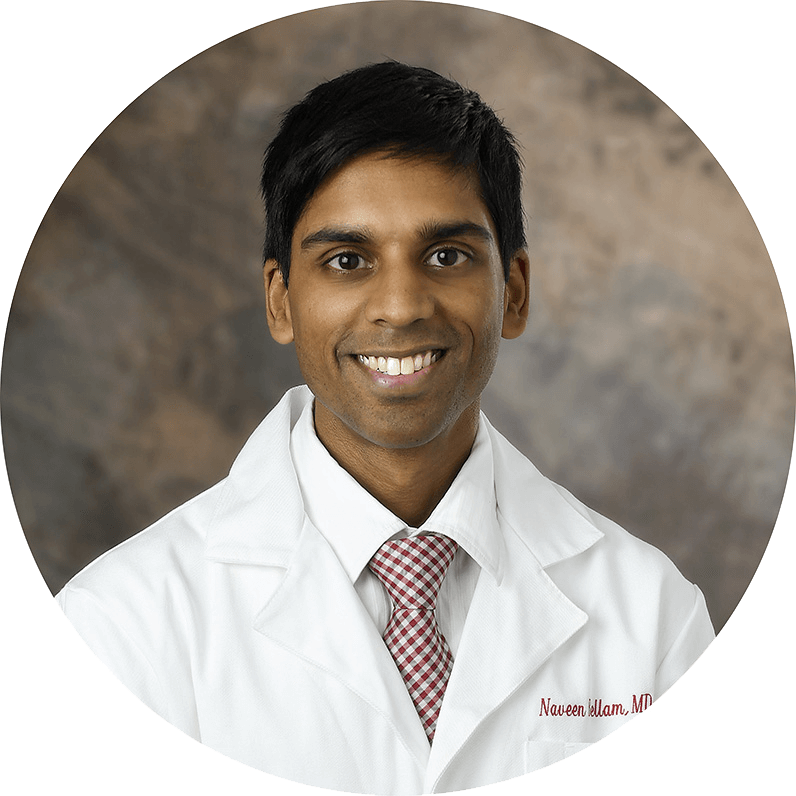 He completed his residency in Internal Medicine at Emory University and completed a fellowship in Cardiovascular Disease at Thomas Jefferson University Hospital. He then completed his Advanced Heart Failure and Transplantation fellowship at the University of California, Los Angeles (UCLA), which is among the top heart transplantation centers in the world, having performed more than 2,000 transplants since its inception.